Gayle D. may be from Silver Spring, but you’ve probably seen her popping up all across Maryland! She’s part of our “Real Coverage for Real Marylanders” campaign and one of more than a million Marylanders who have used Maryland Health Connection. In fact, Gayle is also part of the nine out of 10 Marylanders who received financial help to lower the cost of health coverage. Her family saved more than $500 a month on their coverage. Woo! Now it’s your turn. 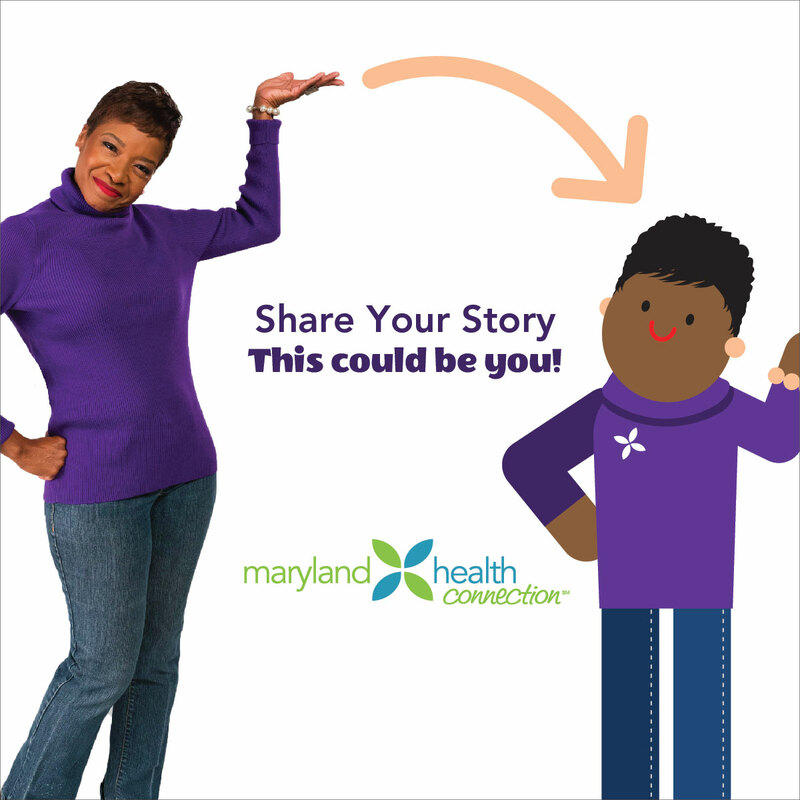 By sharing your coverage story, more Marylanders will learn about the health coverage options available to them. Whether it’s saving money on your health insurance costs, getting coverage that you’d been denied from in the past, or being able to get much-needed care – your story can help more Marylanders get covered. Submit your story today. You might even see a cartoon-you!